Of course, it may not help you. You see? Comments like that don't help much. Now if you told me that the window had drawings of birds and fishes, that would make the search much more exciting. 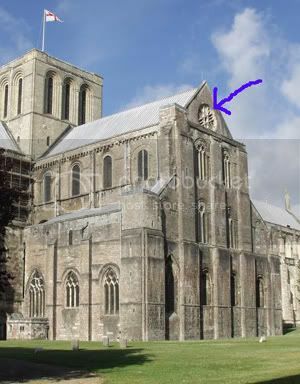 If the rose window is in the North Transept and the Da Vinci Code was filmed in the North Transept and the north presbytery aisle and the entrance to the crypt is in the north transept the window could be the rose window, but why is it a window you cannot see?? The Rose Window was added in the 15th century rebuild of the north transept. But what do this mean? Is it significant to our hunt for gold? Is it significant to our hunt for gold? You know, bottling things like that up inside you, is not good for you. Every so often you need to "release" all the little annoying things rattling around in your brain, works as a good stress reliever. I'm here for you if you need to unload (information, that is). I think that on one hand the person who wrote the questions wanted to have and give us the satisfaction of finding all the complete answers to the questions. Not that having found the window has given me so far to go any new ideas about how to solve the gold section. Too many hunts and too little time!! It speaks of rosy flesh and seeded womb." The answer is the word 'APPLE'. Not only is this circular, but more importantly, the word 'ROSY' is used. 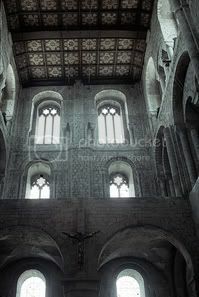 Perhaps a connection to The Rose Window in Winchester?